The trend away from formal annual performance reviews may be picking up steam, but that doesn’t mean that employees no longer need feedback or guidance. In fact, changing workforce demographics- among other factors- mean that feedback is more important than ever for healthy growth in your staff and in your company as a whole. The best managers view the review process as a coaching task that can help all employees improve their job performance and satisfaction. The key to making this work: ask, don’t tell. Instead of telling your employees about what you’ve observed of their work, take the time to get the whole picture from their perspective. Asking thoughtful, probing questions of your employees can help them start to see the strengths and gaps in their own performance. Doing this regularly and habitually keeps employees engaged in their day-to-day work and mindful of their goals and feedback in a way that a single annual conversation could never do. This can sharpen even your strongest employees, but maybe more importantly, it will help you keep track of their morale. This valuable insight will allow you to course-correct so you can help create a more productive and positive environment to retain your best performers. For employees who aren’t a great fit for the role, regular check-ins can help them come to that realization on their own, even before a performance improvement plan would need to come into play. Beyond just asking about job performance and morale, you’ll also want to check in about each employee’s career goals, their impressions of management, and what changes can be made to help them be more successful. Here are three categories of questions to include in your monthly discussions, along with several example questions you can use to start these conversations with your reports. What one thing do you like most about your job? What one thing do you dislike most about your job? Do you feel that you have too much downtime during the workday? Too little? How can I help you find a sustainable workload? What kinds of flexibility would help you to balance your workload with your home life? What aspects of your job do you find particularly challenging? What talents or interests do you have that we may not be aware of? How could we make the best use of those interests/talents in your current role? Which tasks do you find most engrossing? What has been your greatest win in the past month? What has been one challenge you bumped into this month? Have you resolved it? If so, how? If not, how can I help you work through it? What do you want your next position at this company to be? What appeals to you about that role? How can I help you start angling yourself for that position? Do you have a mentor in your role? Would you like me to help you find someone to help guide your career development? What words would you use to describe our company culture? If you were the owner of this company, what changes would you make to improve morale or corporate culture? Tell me one thing I’m doing well and should continue with. Tell me one thing I could do that will help me be more effective as a manager. What have I done to help you do your job better? Do you feel you have the resources and tools you need to perform your job effectively? As with all management tasks, there are techniques to keep in mind (in this case, the most important is to keep your questions open-ended), but just as important as what you ask your employees is how you ask. This article by TeamGantt recommends that you ask your questions sincerely, humbly, and frequently. 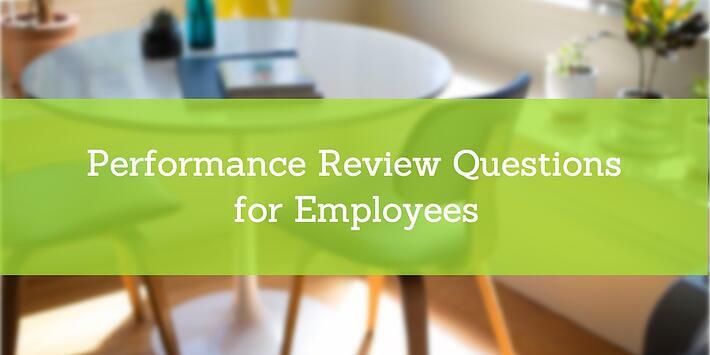 Approach this process with a real desire to know what makes your employees tick. Engage with them as individual people, sensitive to their concerns and frustrations. Be prepared to accept answers about your management that aren’t flattering. Consistently touch base with every employee on a monthly basis, or even more frequently than that. It may take a few months for employees to settle into this new way of discussing their job performance and satisfaction. But when this way of communicating with your staff has become part of your team’s culture, and as these questions become more familiar, employees will start to have more transparent and useful responses.